Do you have a form that is just black ink on 20# White Bond (paper upgrades are available!) that you need quickly? Hurry and fill out the order form, upload your artwork below before noon, and we'll ship the order tomorrow! Using our Nuvera 144 black & white digital press, we can turn your order quickly, and we know you'll be happy with the high quality this machine produces! Our "next day" forms cannot include any bindery services, such as drilling, padding or numbering. We can, though, offer a "2-Day" form that will include those important features. If the service you need is not listed, it falls outside our ability to produce in 2 days, and the order will not qualify for our "Quick Turn" program. Please contact us at 1.800.541.2232, or email estimates@lancerltd.com to get pricing and available lead times! Quantities that qualify for this program are - 100 minimum and 1,000 maximum. Numbering must be printed in black. PLEASE NOTE: We are closed on weekends...so if you place your order before noon on Friday - it will ship on Monday! Saturday and Sunday orders will be shipped TUESDAY! Your artwork printed on 1 side. Any type of bindery will add one day to ship date. Choose all appropriate attributes for your job. Below price is for printing on 20# White Bond only. Bindery & other paper choices are extra. 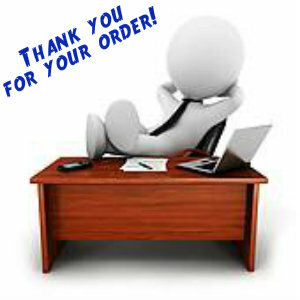 See next page for total prior to submitting order! Your artwork printed on both sides. We know you're in a rush for your forms...we'll contact you immediately if there are any problems or concerns!